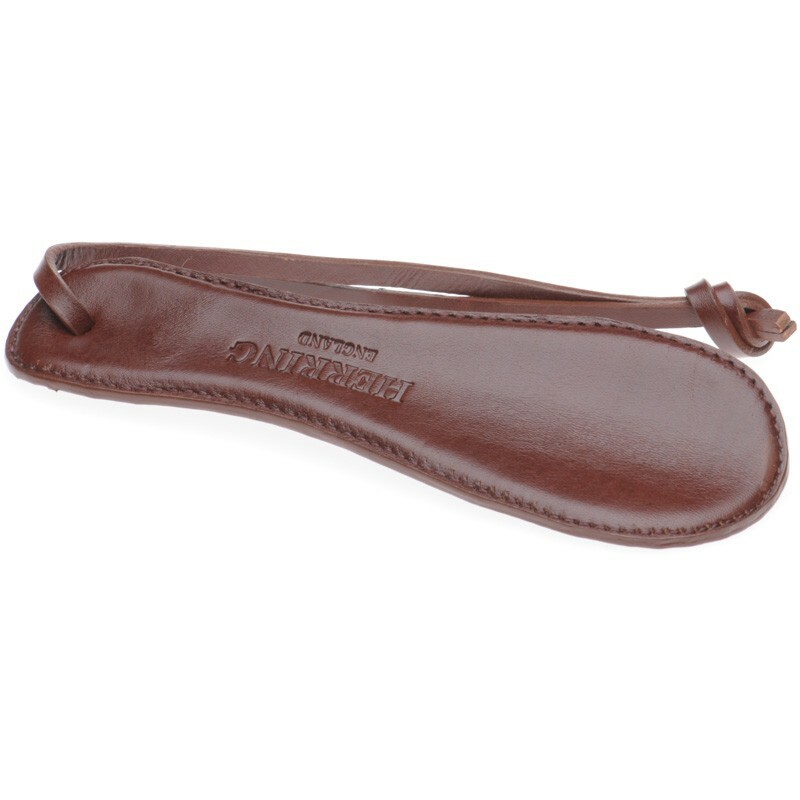 This 17cm shoe horn is made from a metal form, that is then hand covered and stitched with calf leather. 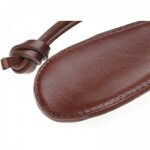 There is also a leather wrist strap. 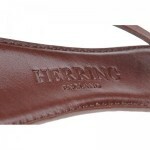 Length is approximately 6.5'' or 17cm.